ZAMBOANGA CITY: A Filipino oil company, Iron Blaze Petroleum Inc. is putting up a P90-million oil depot in the Port of Polloc in Maguindanao, one of five provinces under the Autonomous Region in Muslim Mindanao (ARMM). The depot will have a capacity of about 9 million liters, according to the ARMM’s Regional Board of Investments. It said the company has already made two deliveries of 260,000 liters of fuel from Sabah since December, according to Shamera Abobakar, the information officer and senior investment specialist of the Regional Board of Investments. “Iron Blaze Petroleum is a Filipino company which gets its oil supply in Malaysia and they are putting up a depot in Maguindanao province, at the Port of Polloc,” she told The Manila Times. The Regional Board of Investments said the fresh supply of fuel in the market was good, but it was not enough to bring down the coast of gasoline in the region, which is now at P60 per liter. “The reception of the market was quite positive as it brought fresh oil supplies [and] the next step [now] is to lower oil prices in Central Mindanao by increasing the volume of shipments of oil in Polloc Port and for that a bigger oil tanker boat is needed,” Abobakar said. 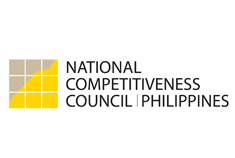 The Regional Board of Investments said the two shipments of fuel was considered a landmark achievement for the economic linkage of ARMM with its neighboring countries such as Brunei, Indonesia, Malaysia which are all part, including the Philippines, of the East Asean (Association of Southeast Asian Nations) Growth Area. “Increasing economic linkage with BIMP-EAGA countries will be the trend as ARMM transforms into the new political entity of Bangsamoro as envisioned by the peace agreement between the Philippine government and the Moro Islamic Liberation Front,” Abobakar said, adding the Department of Energy in Manila has endorsed the depot project.